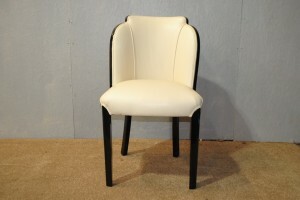 Original Art Deco Epstein Chair in cream leather and with high gloss black finish. 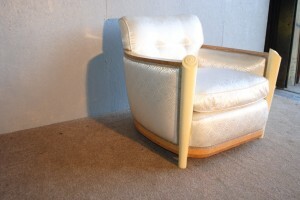 An original art deco Epstein Cloud Back Chair finished in cream leather and a stunning high gloss black .Occasional chair ,office or bedroom, so many uses for this iconic shape chair which is in great shape. 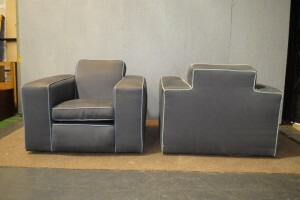 Original Art Deco Armchairs, fantastic shape. What colour would you choose? 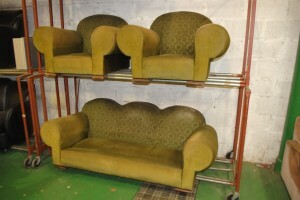 A fabulous original art deco pair of armchairs that are just waiting for someone to choose a colour for re-upholstery. Once finished they will be a truly stunning pair of chairs, just look at that shape!. For more details please call 01257 473688. 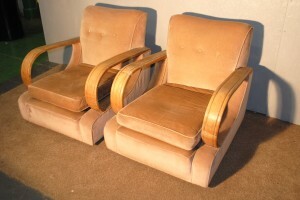 Nice pair of art deco hooped arm chairs. 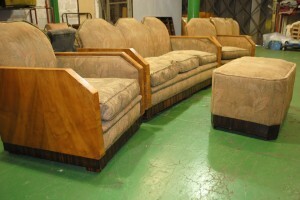 They can be purchased as they are or fully refurbished and upholstered for you. 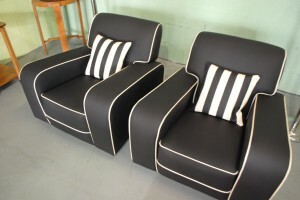 A stunning pair of 1930s original art deco Tank armchairs upholstered by Cloud 9 Art Deco in black leather and cream trim. 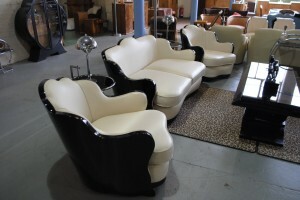 These are very iconic art deco chairs with the sloping arms and stylish bold design. They are also very comfortable. For more details please call 01257 473688. 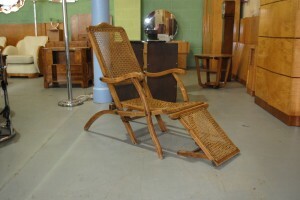 An original Art Deco Steamer Chair. 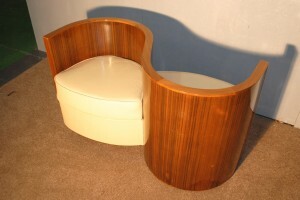 This beautiful piece of furniture is believed to of been on the decks of a 1930′s ocean liner. 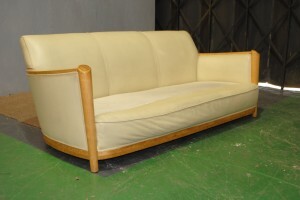 It is in good original condition and still folds flat if required. 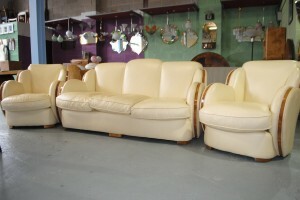 It can be set up in the chair or lounge position. As I am 6′ tall and 14 1/2 stone I have not tried it out but it certainly makes a great statement piece.